Kolkata: Capping a six-year-old dispute between US-based venture capitalist Purnendu Chatterjee and the West Bengal government over management and control of Haldia Petrochemicals Ltd (HPL)—a firm they jointly founded in 1994—the Supreme Court on Friday issued a judgement dismissing Chatterjee’s claim to 155 million shares that were to be sold to him by the West Bengal Industrial Development Corporation (WBIDC). The judgement, however, may not have any bearing on plans by The Chatterjee Group (TCG) to buy out WBIDC in HPL because the Trinamool Congress-led state government has lately taken a decision to sell its stake in the firm. It is appointing an investment bank to conduct a valuation of the firm. However, the timing of the state government’s decision to cash out is surprising because HPL has been making losses for years. TCG would have seized control of HPL had Chatterjee managed to buy the 155 million shares from WBIDC as was envisaged in a March 2002 agreement between the co-founders of the firm. Several failed agreements later, WBIDC said in July 2005 that it wouldn’t sell its stake to TCG, alleging that Chatterjee couldn’t fulfil his obligations under a composite agreement on the sale of the state government’s stake and infusion of fresh equity in HPL. Thereafter, HPL sold 150 million shares to Indian Oil Corp. Ltd (IOC) in a controversial deal that Chatterjee vehemently opposed. He had legally challenged the share sale to IOC as well. TCG moved the Company Law Board (CLB), alleging mismanagement and oppression of minority shareholders under sections 397 and 398 of the Companies Act. The see-saw legal battle reached the apex court after TCG’s rejoinders were quashed by the Calcutta high court. Nine months after hearings ended, the apex court said in its judgement issued on Friday that there wasn’t enough ground for filing a petition under section 397 of the Companies Act. The decision is a vindication of the erstwhile Left Front government’s stand on HPL, according to a key WBIDC official, who did not want to be identified. “Amid mutual mistrust, the state government stood by its commitment to sell its stake in HPL to Chatterjee, but insisted that he made payment for all shares at one go," he said. “The rights of TCG as a shareholder have in no way been compromised by the Supreme Court’s order," said Aniruddha Lahiri, president of TCG. “What is of significance at this point is that the state government and TCG are working towards mutually resolving the differences, and HPL’s interest will be best served by the promoters resolving their differences quickly." The apex court’s order wouldn’t lead to a rift between HPL’s co-founders, according to Partha Chatterjee, the state’s commerce and industries minister. “The state government has decided to sell its stake in HPL in view of its current financial health," he said. “But before we sell our stake, we will conduct a valuation of the firm. We will closely scrutinize HPL’s financial results in the last few years." Asked if WBIDC would sell its stake in HPL at one go or retain some shares in the firm for being sold at a higher price after it had turned around, the minister said no decision had yet been taken. 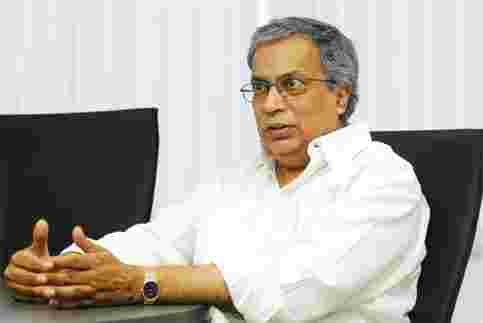 The Trinamool Congress, which in May ended 34 years of the Left rule in West Bengal, has given TCG a free hand in running HPL, and has appointed Purnendu Chatterjee chairman. TCG now wants its management control to be expanded to majority ownership because, according to Purnendu Chatterjee, HPL is planning to expand its operations and banks want “clarity on the firm’s ownership" before committing more funds to it. TCG currently owns 44.23% in HPL, followed by WBIDC, which owns 43.27%, according to the aforementioned WBIDC official. Their contributions to HPL’s equity capital are ₹ 690 crore and ₹ 675 crore, respectively, he added. The Tata group and IOC own 2.88% and 9.62%, respectively. As early as in September 1994, the West Bengal government wrote to TCG indicating its wish to sell at least 60% of its stake within two years of commencement of production, or five years of inception of the company, at ₹ 14 per share. But the company ran into financial difficulties, and the first agreement on share sale could be concluded only in January 2002. Chatterjee had at that point agreed to bring in ₹ 500 crore in the form of equity, and, in return, the state government had agreed to sell a controlling stake to TCG. In March 2002, the state government concluded an agreement under which WBIDC was to fund 95% of the price to be paid by TCG for buying 155 million shares, but insisted on Chatterjee infusing ₹ 500 crore of fresh equity by 31 March 2002. The deal fell through because Chatterjee couldn’t bring in the money, according to the WBIDC official cited above. In January 2005, Chatterjee and the state government again agreed to a share sale, but this time they had differences over valuation, which was to be determined by a WBIDC-appointed chartered accountant.